Three weeks after the start of the Women’s World Championship in Khanty-Mansiysk, the world’s strongest woman chess player was determined. 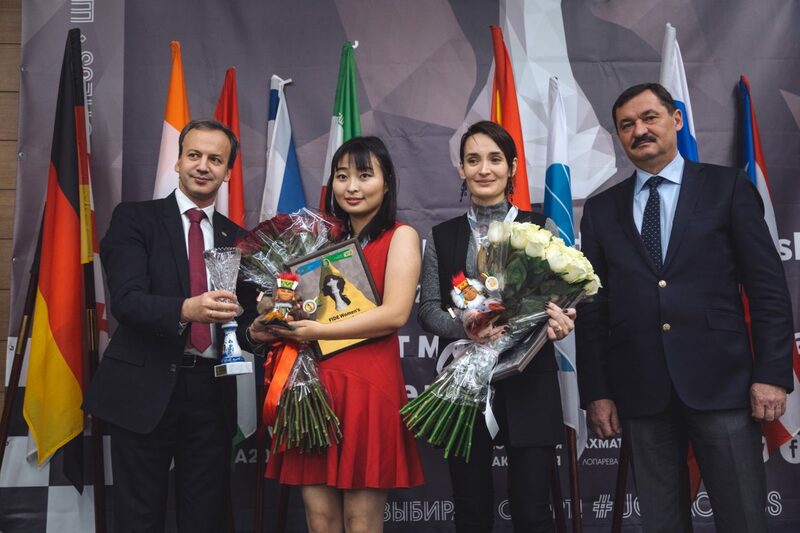 The rating favorite of the event, Ju Wenjun from China, defended the title she had won in spring, beating the Russian Kateryna Lagno in the final match. 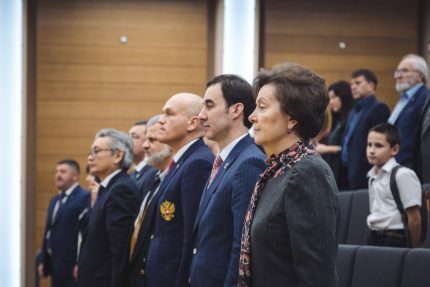 The Closing Ceremony of the championship was attended by Natalia Komarova, Governor of Ugra, Sergey Kosilov, Deputy Minister of Sport of the Russian Federation, Arkady Dvorkovich, FIDE President, and Andrey Filatov, RCF President. 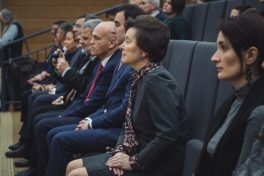 However, the main roles were played by the finalists of the championship – Kateryna Lagno and Ju Wenjun. 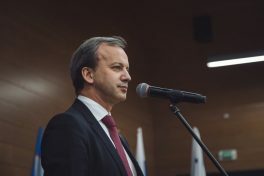 Sergey Kosilov and Arkady Dvorkovich delivered their speeches to the audience. 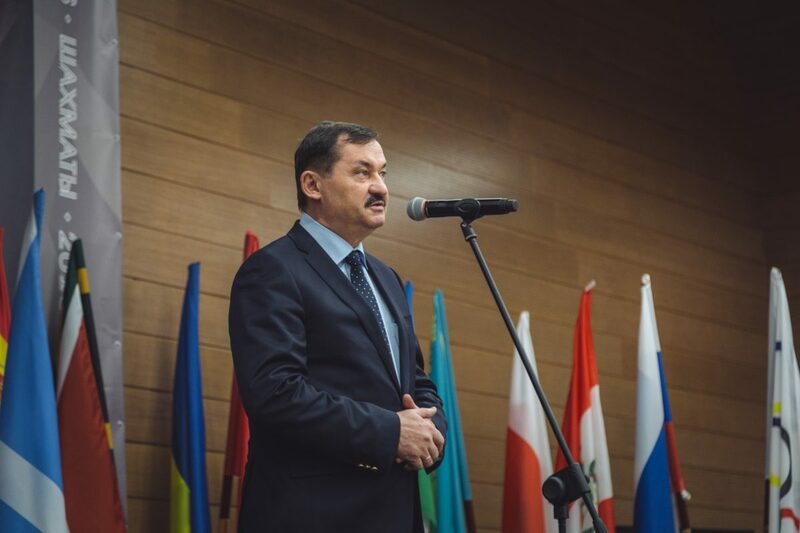 “On behalf of the Ministry of Sports of Russian Federation and personally I would like to greet all these present here including participants, organizers and guests of the championship. 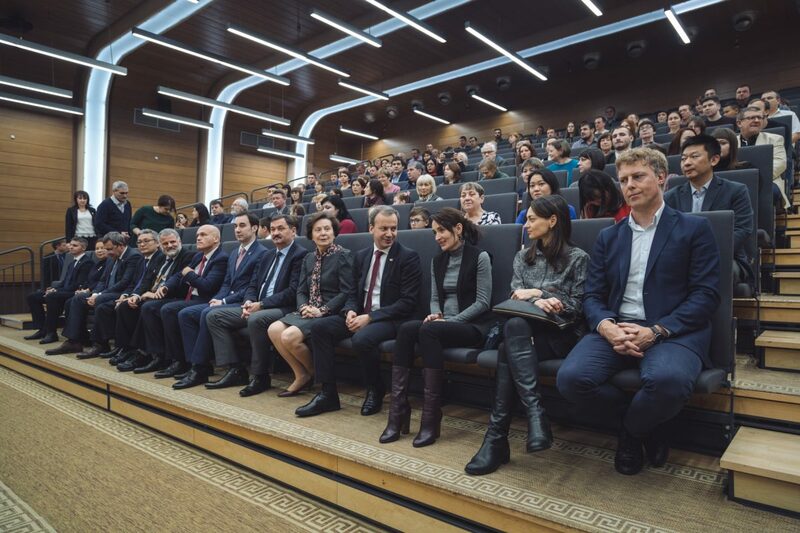 My congratulations to the organizers of this tournament, carried out at the very high level. 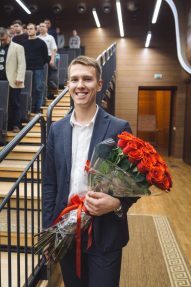 My congratulations to the players on their mastership and level of chess they shown us. I am sure that the spectators have enjoyed watching the world’s top players’ games. 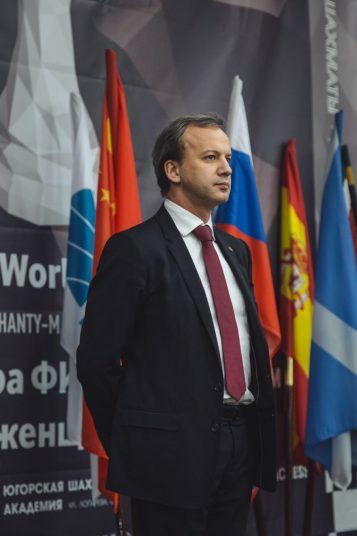 I wish everyone great spirits and I wish athletes more high achievements in chess”, addressed Mr. Kosilov. “On behalf of FIDE, I’d like to congratulate all of you for holding the Women’s World Championship perfectly. 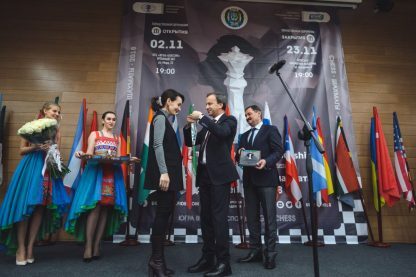 This is the first chess championship for me as the FIDE President. I am not sure who was more anxious – myself or the participants of the tournament. But most important thing that we’ve reached the finish and I would like to congratulate all of us on this achievement. Also I’d like to thank every participant. They all have been playing at the level they had been prepared at, and everyone has invested a part of their souls into the play. In addition to being the FIDE President, I am a chess fan. And as a fan of Russia my special congratulations go to Alexandra Kosteniuk and Kateryna Lagno. 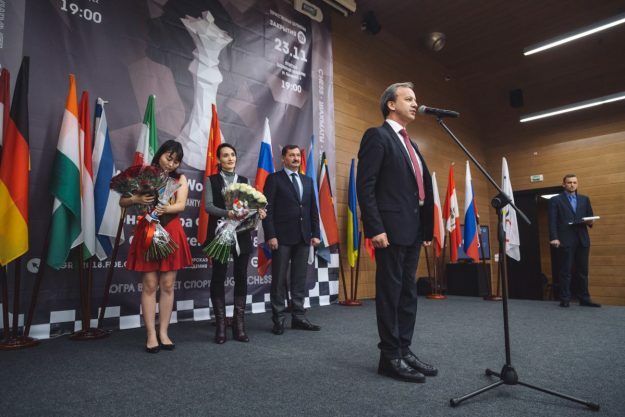 But as FIDE President I’d like to congratulate Ju Wenjun for defending her title”, said Mr. Dvorkovich. Sergey Kosilov and Arkady Dvorkovich handed over the rewards and flowers to the finalists. 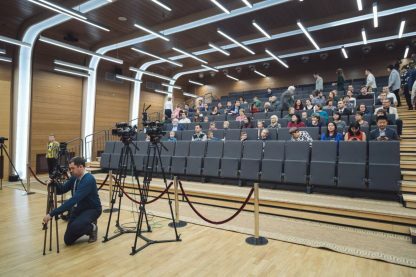 The FIDE Women’s World Chess Championship took place in Khanty-Mansiysk on November 2-23. 64 players from 28 countries were determining the strongest in a knock-out format. 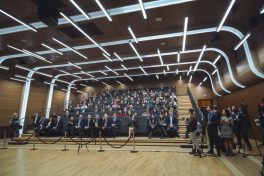 Among the participants there were the defending champion Ju Wenjun (China), and former World Champions Alexandra Kosteniuk (Russia), Mariya Muzychuk (Ukraine), Tan Zhongyi (China), Antoaneta Stefanova (Bulgaria), and Anna Ushenina (Ukraine).